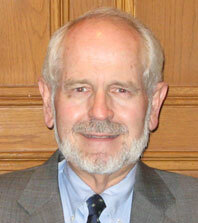 Dennis B. Hansen has been engaged full time in the private practice of law for more than 30 years. He has a broad base of experience in Business Law, Corporate Law, Probate, Trusts and Estates, and Estate Planning Law. He represents individual and corporate trustees in connection with the administration of trusts and Probate estates. Mr. Hansen represents individuals, business entities and trustees in connection with corporate law matters and real estate transactions. In addition, Mr. Hansen serves as a director on corporate boards of directors.